OMG Posters! » Archive "Secret Histories Map of San Francisco" Art Print by Deth P Sun - OMG Posters! The People’s Printshop is currently selling this large, crazy new art print by Deth P Sun. 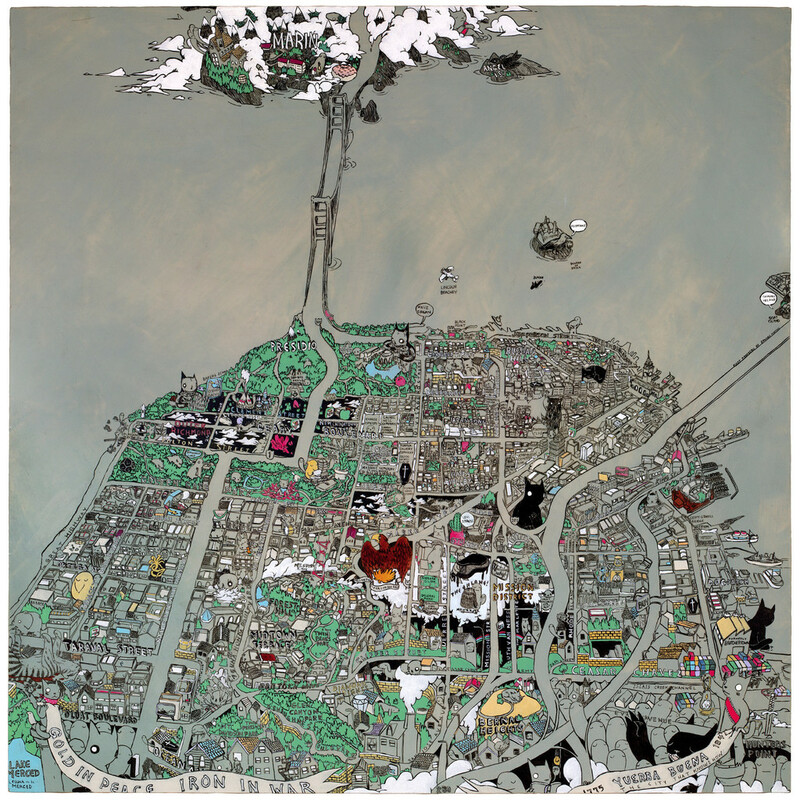 “Secret Histories Map of San Francisco” is a 24″ x 24″ giclee, has an edition of 100, and costs $50. Visit ThePeoplesPrintshop.com. We want a print of “Secret Histories Map of San Francisco”. We ruined ours in the heat press! I hope you have some yet! Please email asap!